HOUSTON — Among the more than two dozen seats gained by Democrats in the midterm elections, two were in Texas districts that traditionally were bright red. In suburban Houston, Lizzie Fletcher gave high fives as she thanked her supporters. "All of you are here because you believe in this campaign," she said. After Fletcher defeated nine-term Republican congressman John Culberson, she became the first Democrat to win Texas' 7th District since the late 60s, when a young politician named George H.W. Bush won the seat. Fletcher was one of several Democrats that was part of the suburban revolt that helped Democrats take back control of the House. Democrats flipped at least 29 house seats from Oklahoma to Illinois, Virginia and New York. 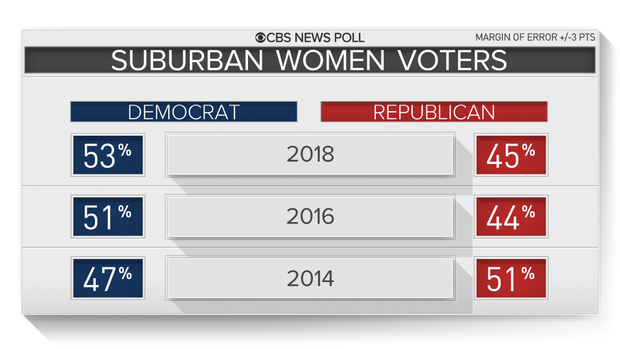 According to CBS News exit polling, suburban women voters swung dramatically in this election. Fifty-three percent of women voted for Democratic candidates in 2018, compared to only 47 percent in 2014. Suburban women swung toward Democratic candidates in the 2018 midterms. 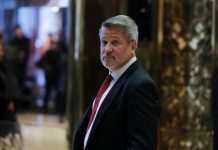 "Fletcher took advantage of the distaste among many of these Republican voters for Donald," said Rice University political science professor Mark Jones. He said another factor was Beto O'Rourke's appeal and his ability to bring out new voters. "Beto O'Rourke alone helps explain why we saw 12 Texas House representative seats flip from Republican to Democratic. Two state Senate seats flip, and two congressional seats flip," he said.